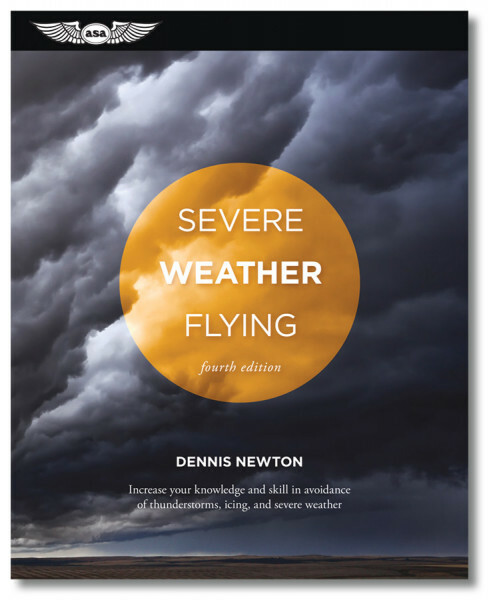 This book is not about flying in severe weather, but about how to detect and therefore avoid it, with advice on how to escape it if you become caught in it accidentally. Author Dennis Newton is a meteorologist, weather research pilot, engineering test pilot, ATP, and flight instructor. He speaks pilot to pilot in this valuable guide on how not to fly severe weather. He believes that given the knowledge, pilots can truly lessen their chances of being caught in thunderstorms and other extreme weather conditions. This book was written with that goal in mind: to impart enough meteorological information in a way pilots can best grasp and use it. While the emphasis is on types of weather that are potentially hazardous to flight, it is not a "cry-wolf" approach -- with each type of weather discussed, the author provides rational answers to a pilot's very sensible question, "And then what? How does this affect me?" He also discusses the capabilities and limitations of airplanes and equipment in avoiding and in dealing with severe weather. Newton believes that, "when weather is presented in the worst possible light and it becomes the common experience of a pilot that there is no wolf, there are no effective words of warning left when the day finally comes that the wolf is really there. Pilots as a group are more than conservative enough to keep themselves safe if they are only given the facts." Meteorology can be a tough "language" and not always clear to the lay person. Newton translates and brings across the most crucial principles pilots can use to fly more wisely in weather. Covering weather fundamentals, the atmosphere, and the stability of the air, he then digs deeper into the individual aspects of severe weather situations: air mass and nocturnal thunderstorms, downbursts, lightning, icing, turbulence and wind shear. Newton blends in good coverage of detection equipment for the cockpit, and the weather briefing information available to the pilot for decision-making in flight planning, and even the enroute phase. Details on icing certification for the aircraft are also covered, and for the Third Edition chapters on further aircraft icing information have been added. This book is as valuable for seasoned veterans as for relative newcomers, applicable to VFR, IFR, piston, turbine, low- and high-altitude operations. Foreword to the Third Edition by Scott Crossfield. Soft cover, 190 pages, illustrated and indexed (including some color weather photographs).